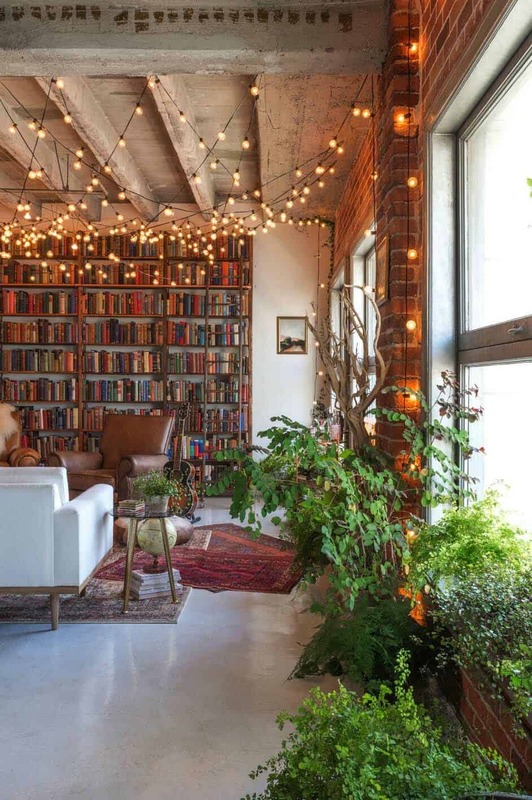 This book-filled loft designed by interior design company Oh Beauty offers just 900 square feet of living space, located in Los Angeles, California. 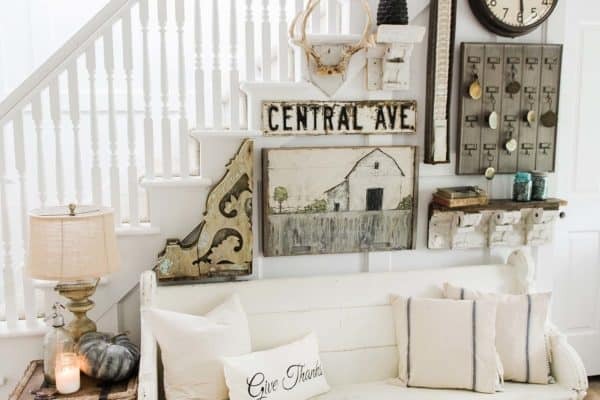 The loft is owned by the designer and her husband, filled with chic DIY details and flea market finds intermingled with designer furnishings and accessories. 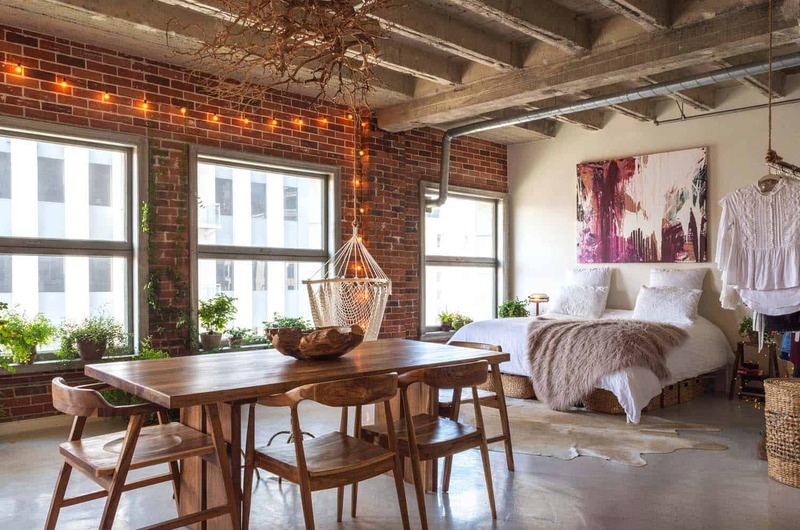 The homeowners have created a warm atmosphere in their humble abode, which features open plan living, exposed brick walls, stainless steel and concrete flooring. 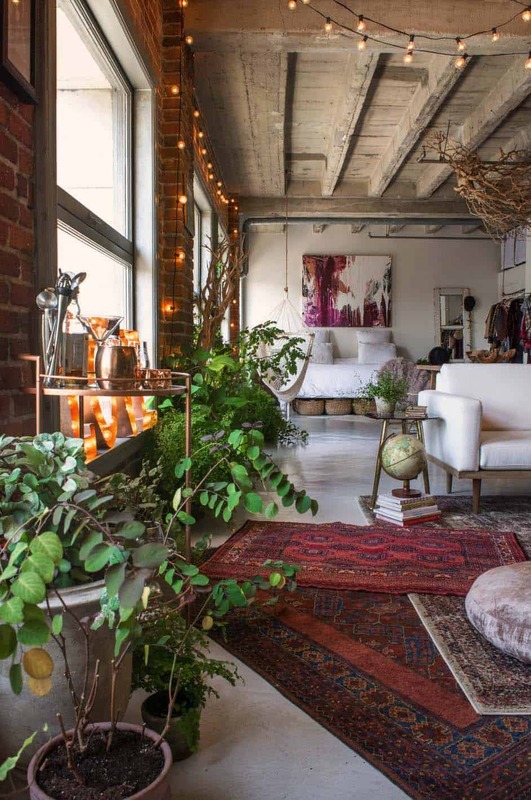 The loft is filled with fresh greenery throughout, adding nature into an urban environment. 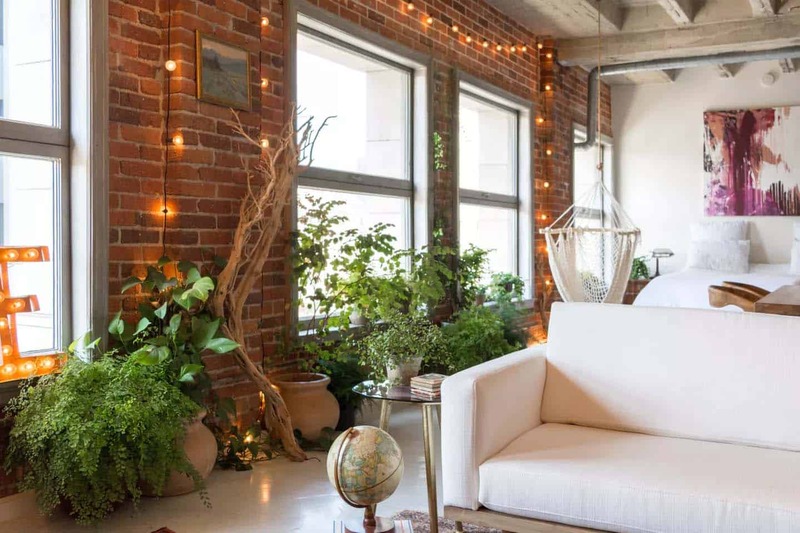 These plants help to not only soften the space, they also cleanse the air and help with noise control. 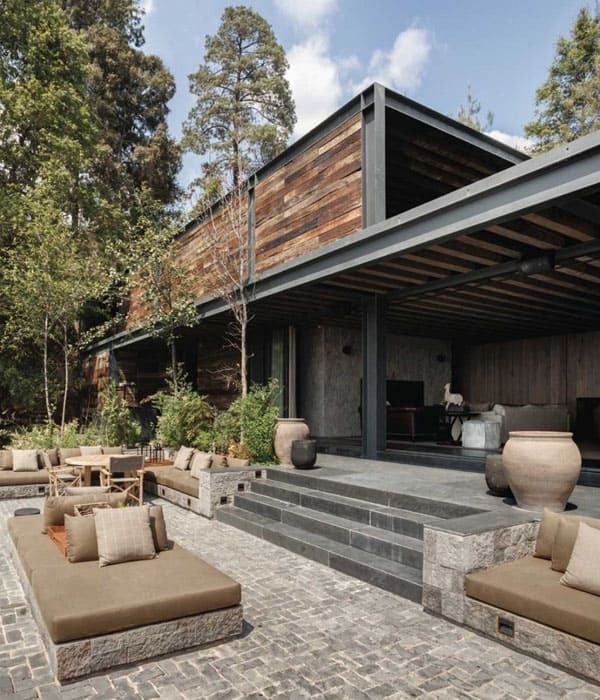 The plants helps these homeowners to feel connected with nature, bringing the outdoors in. 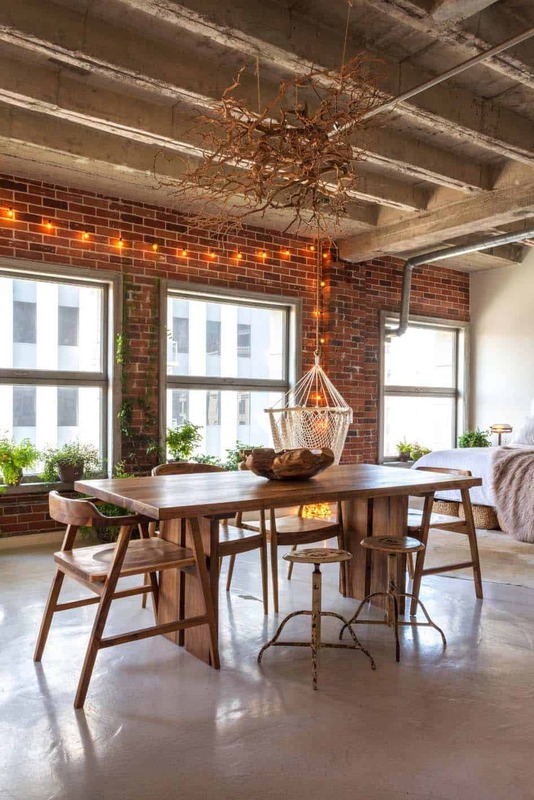 Living in LA has inspired the design of this home, as living in the downtown area, there is not a lot of green space to be found. 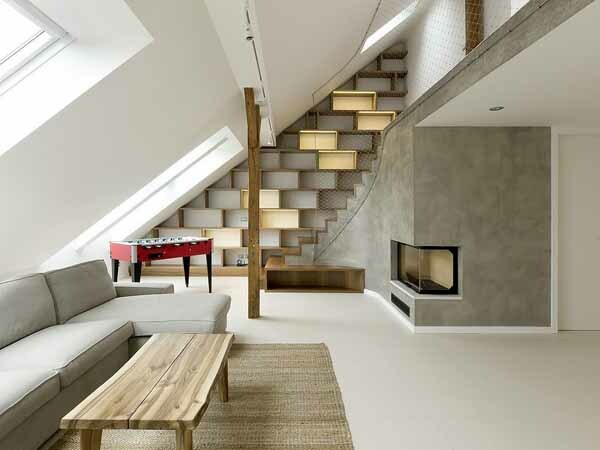 Large windows helps illuminate this small living space with natural light, adding to its open and airy feel. 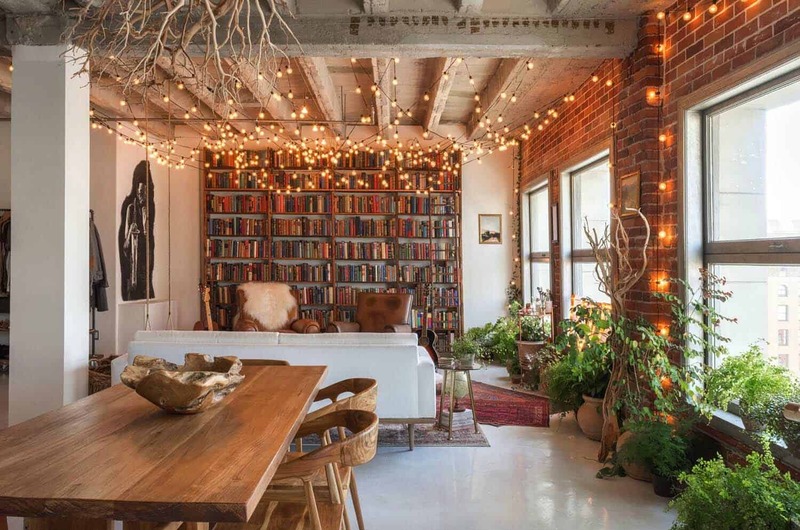 Living the heart of a busy urban environment had an affect on the homeowner’s selection of interior decor. The LA culture contributed to the designer’s love for white. She feels that with the chaotic environment that surrounds her, white walls, fabrics and finishes helps to create a sense of tranquility. 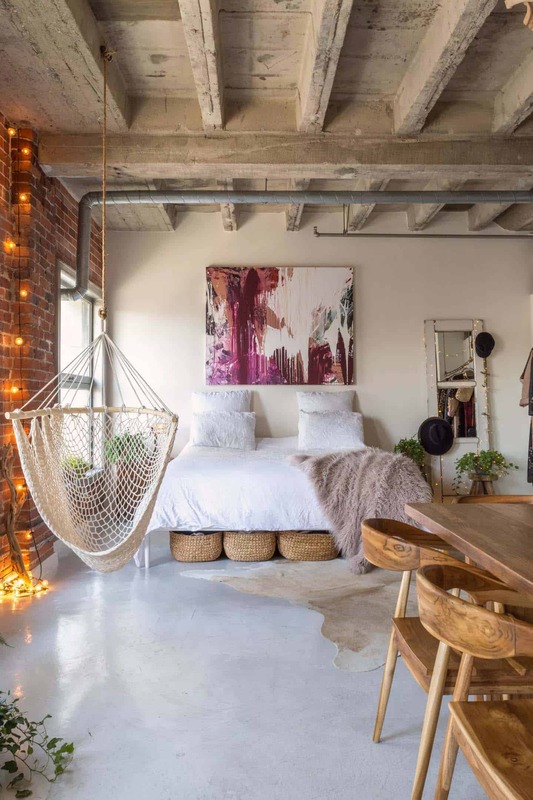 Overall, this home has a cozy and warm aesthetic, thanks to the exposed brick, use of textures and the string lights that adds a touch of whimsy. 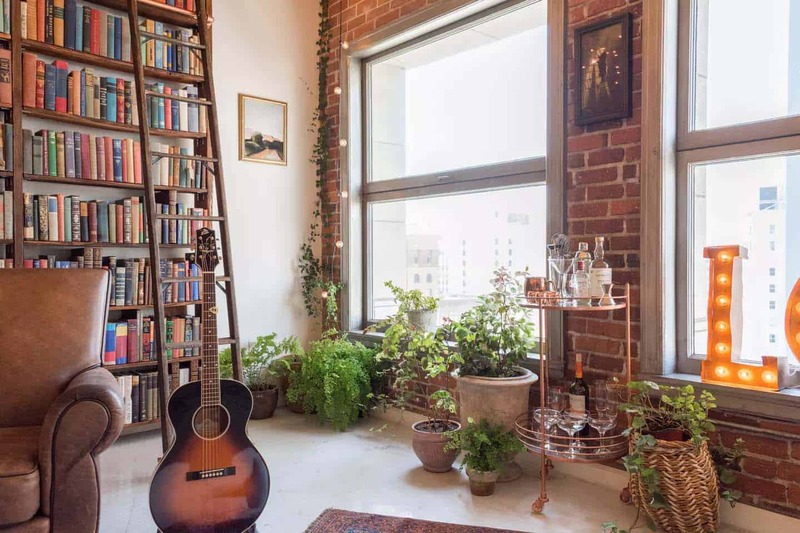 What We Love: This loft offers some fantastic features, from the floor-to-ceiling wall of books to the exposed brick walls and abundance of verdant plants. 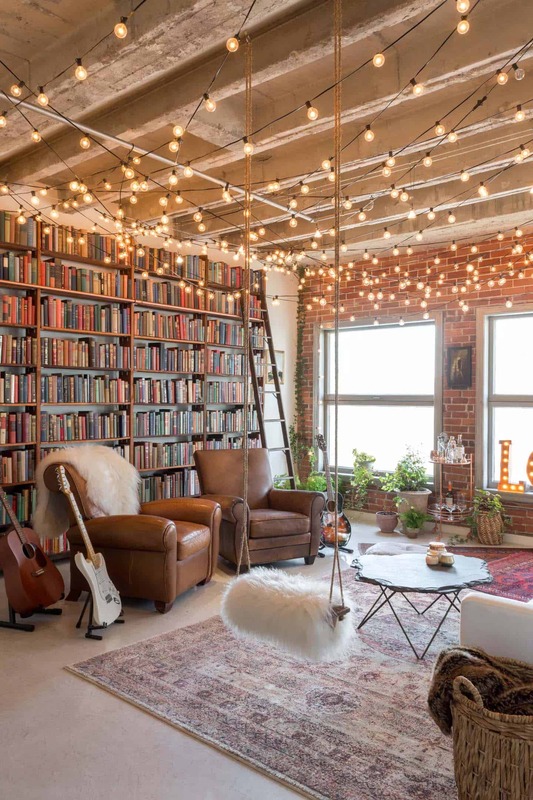 Overall everything flows cohesively, creating a warm and welcoming atmosphere that feels so magical thanks to the string lights. 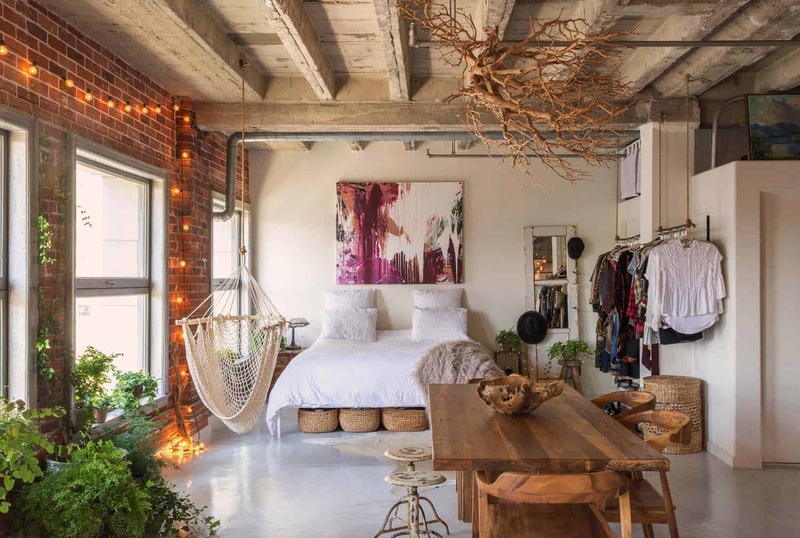 Readers, is there anything in this loft space that you would have done differently if this was your own home? 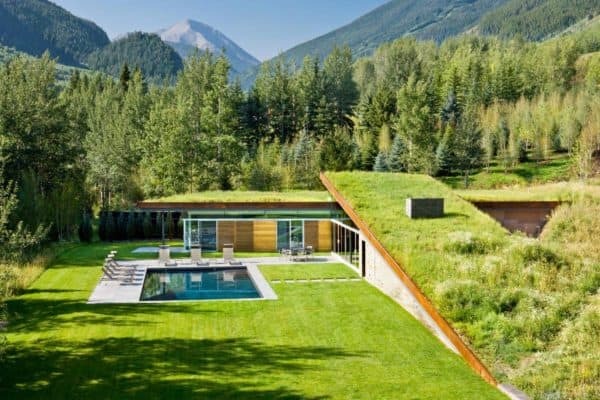 Could you imagine yourself living here? Above: In the dining room, the table was custom fabricated by Blue Pocket Design Studio. Accenting the table are dining chairs sourced from LiveStyle Designs. 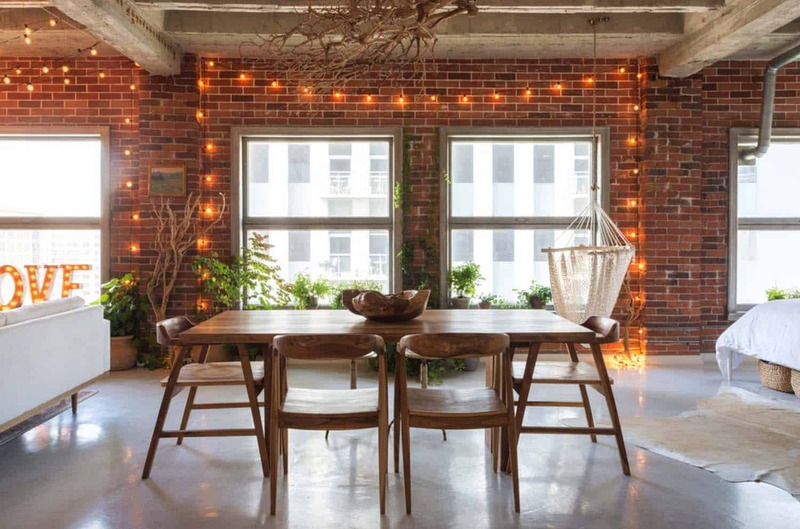 The stools and the teakwood bowl decorating the table are also from LiveStyle Designs. The branch chandelier was created by the talented designer. Above: All of the plants and the pots were selected from the Los Angeles Flower Mart. Above: The white sofa was custom fabricated from Total Design Furniture, while the slate coffee table is from West Elm. 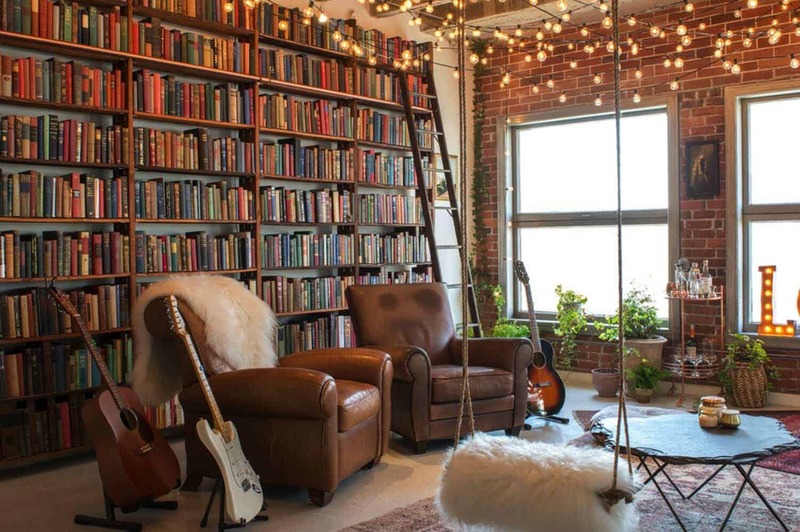 The leather chairs were flea market finds and the playful fur-lined swing was a DIY by the designer’s husband. The velvet pouf and bar cart are both from Urban Outfitters. 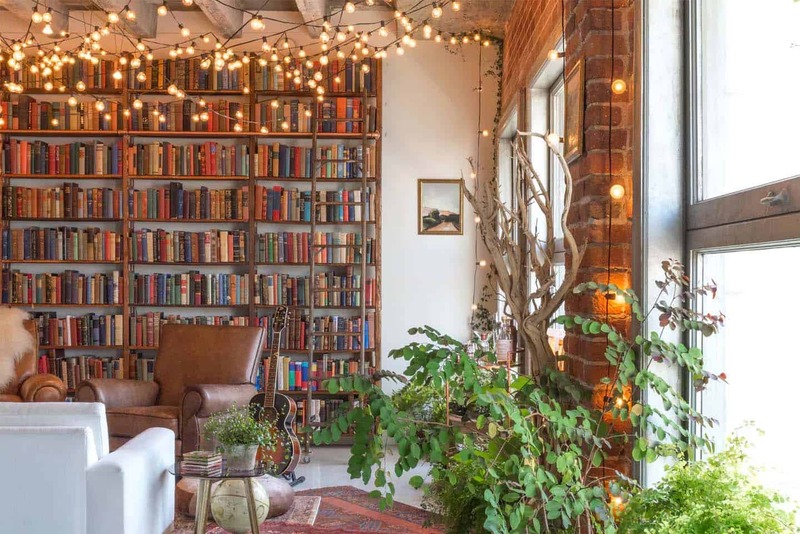 Above: The library wall was also a DIY built for the space and filled with a total of 1,000 books! 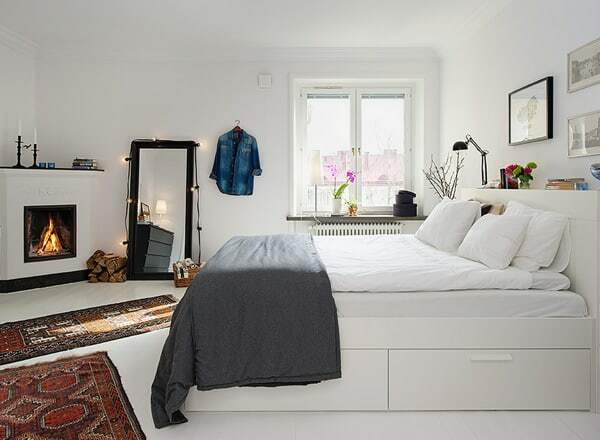 Above: The bedding was sourced from West Elm, while the nightstand came from a thrift store. The abstract painting above the bed was painted by the designer herself. 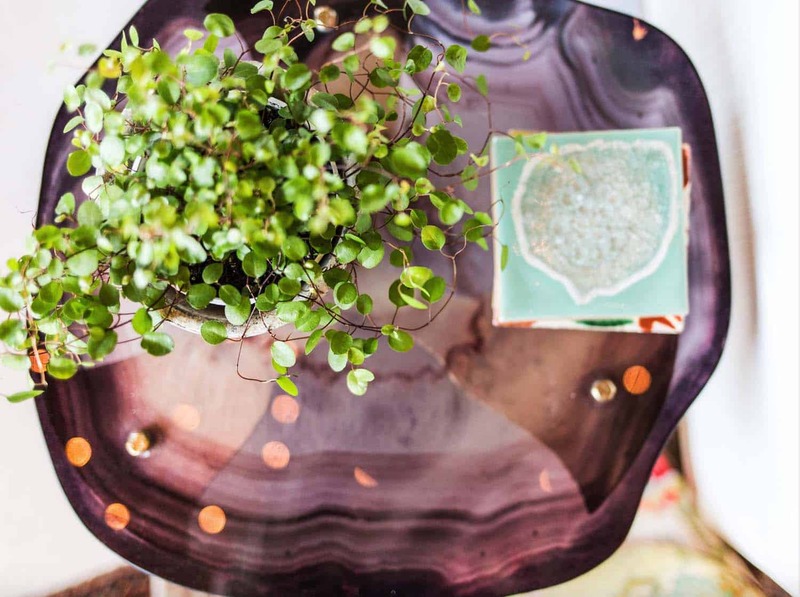 It helps to add color, visual interest and a touch of personalization to the space. The baskets under the bed were found at TJ Maxx. 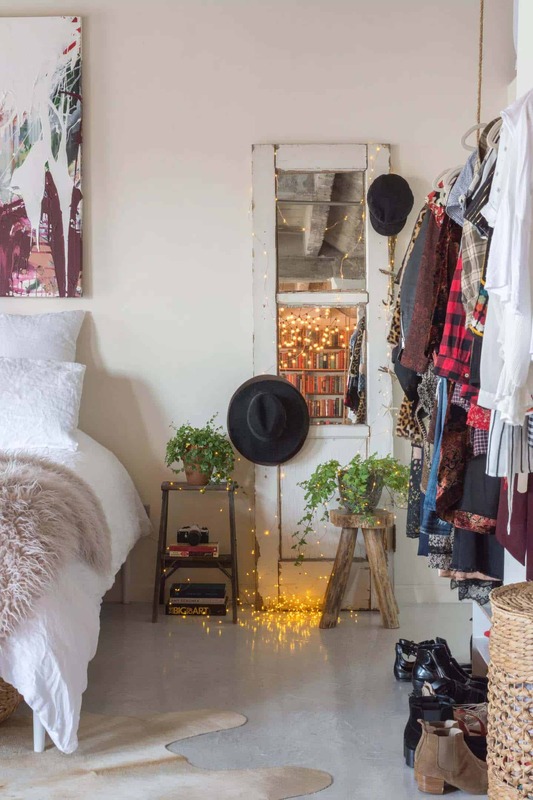 The door mirror to the right of the bed is a DIY, the homeowners found the door by a dumpster and added mirrors onto it. 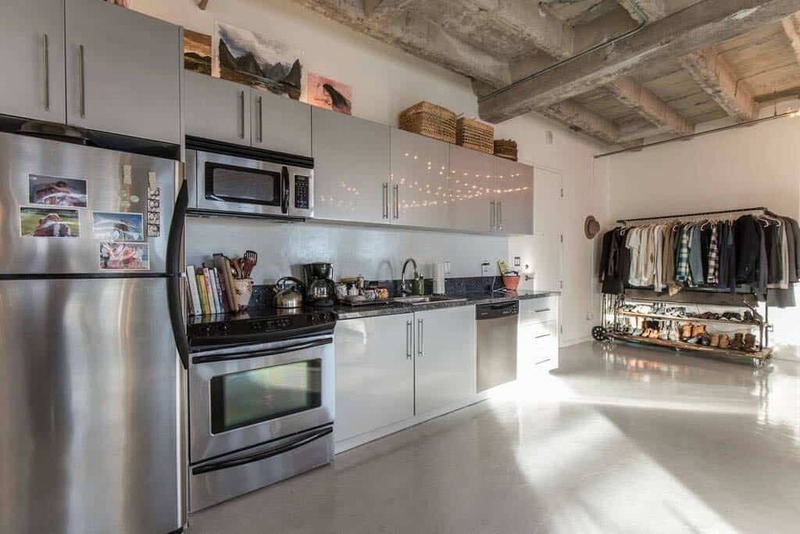 Above: The industrial clothing rack at the entryway of the loft was a DIY by the designer’s husband. The rack is made from copper bars.